tobacco products, despite knowing the associated risks. Looking at the research, I found that one reason is the continued normalization of smoking as a choice, especially within communities that are heavily marketed to by the tobacco industry. Thinking about this led me to focus my dissertation work on how adolescents and young adults perceived tobacco imagery in video games. In a systematic review, I found that little had been done in this area, and that there was a perception that tobacco content was minimal in video games. Guided by my dissertation committee, I designed a qualitative study that allowed me to interview gamers online and in-person to ask them about the games they played, the role gaming had in their lives and their experiences with tobacco content in games. I also examined each of the mentioned games for tobacco content. One of the initial findings was that tobacco content was indeed present in more than 40% of the games mentioned by adolescents and young adults, and they ascribed meaning and value to that content. This paper grew out of that work, and is one of five papers from my dissertation. It is the only paper that does not explicitly deal with tobacco content in video games. After interviewing twenty young people about their experiences game playing and the meaning that playing had for them, it was clear that the experience of electronic gaming was qualitatively different than playing, for example, board games. We found that the adolescents were telling stories of identity development, of relationships and how they were “in” the game world. We realized that for participants, gaming served as another space they could go to practice and develop possible versions of themselves, with the addition of being able to use a disembodied electronic proxy as a way of presenting to others in the gaming community. 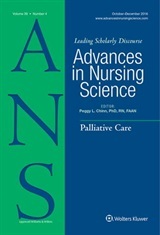 As a nurse interested in how corporate, societal and cultural forces influence identity development and health choices in adolescents, this was a provocative finding, pointing to a need for our profession to consider how adolescents use their electronic media when designing both individual patient plans and larger policy positions to maximize health for all of people for which we care.